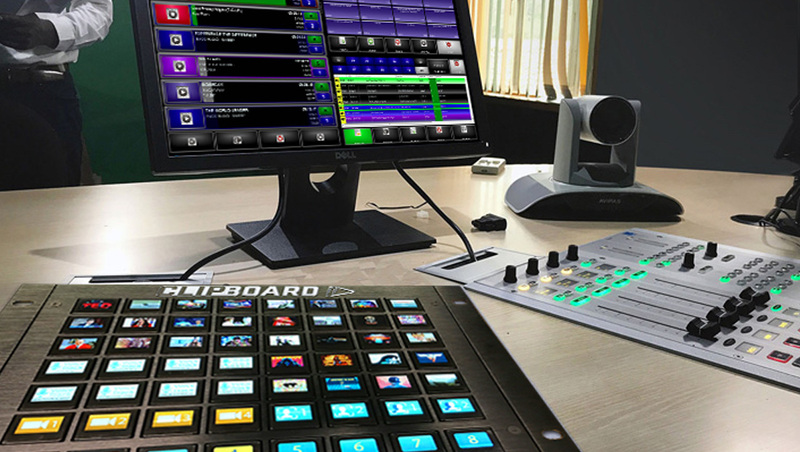 Blending IP-based innovation with traditional tactile control, ENCO will unveil the new ClipBoard next-generation control interface for its market-leading broadcast automation and instant playout solutions at the 2018 NAB Show. The hardware controller will be one of many new advances that the company will debut in booth N3824. ClipBoard provides an intuitive, physical control surface for ENCO’s comprehensive range of television and radio solutions, including the media operations manager TV automation and production platform, ClipFire instant video playout appliance, DAD radio automation and playout solution, and HotShot instant audio playback system. ClipBoard’s unique operational benefits particularly shine when used with ENCO’s video solutions, as the controller’s OLED-based buttons display 96 × 64 pixel graphics. ClipBoard’s button layout mirrors and complements ENCO’s highly-regarded, touchscreen-optimized software interfaces. ClipBoard buttons can trigger any asset available in the automation or playout system, including video, audio, graphics and DAD Command Language commands. Thumbnails of available audio or video are shown on the buttons for easy identification, while countdown timers display in-progress elements. “Some hardware controllers simply map their buttons to the software’s on-screen array, so users must look at both the button box and the screen to locate what they want to play and see the result,” said Ken Frommert, president of ENCO in a statement. ClipBoard units feature 56 buttons, each measuring one inch wide by 7/8 of an inch high. 48 of these buttons can be used to trigger media assets on the current array page, while the remaining eight provide additional functionality such as switching between banks of buttons. ClipBoard features RJ45 ethernet connectivity and controls ENCO automation and playout solutions over an IP network, enabling it for use with both physical and virtualized systems.